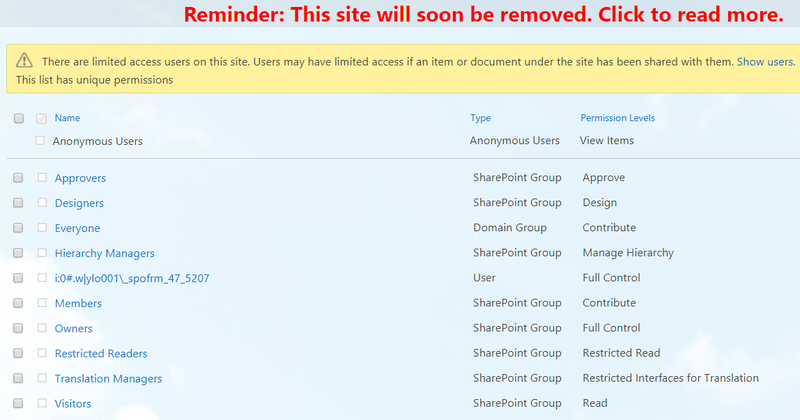 I have a SharePoint public site and make it as online, I created a list called "questionnaire result". I designed an HTML page for questionnaire by people, then I added the ContentEditor WebPart with script of save form into "questionnaire result" list, and everyone can open this page and submit form to save it into this list. How can people submit form and don't have edit permission in this list? Can I make Impersonating in my script to be save item by SharepointApp account? If you have made this list as public than you can apply the unique permission on this list. Go to list setting-> Permission for this list->Click on Stop Inheriting permission from Ribbon ->Click on Grant Permission and give Edit permission to everyone. This behavior is unsafe. If users don't have permission to add a new item, you should not save their data in a list. I suggest you create a custom permission level which only contains "New list item" for this list, then grant this custom permission level to users. If you really want to achieve it by impersonation identity, you can use CSOM: What is the command to elevate privileges in the Sharepoint Online (Office 365)? 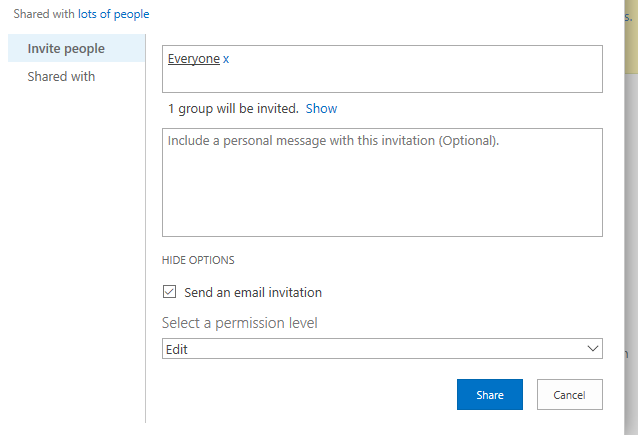 What is the command to elevate privileges in the Sharepoint Online (Office 365)?